A cartoon of Gerardo Hernández Nordelo, drawn at the maximum security prison in Victorville California, United States, was chosen to illustrate a chapter of a textbook that will be used in several Spanish schools in France. The book is being published in Paris and will begin to be used in April 2013 by students in their preparatory year to college. In its first edition 10,000 copies will be printed. 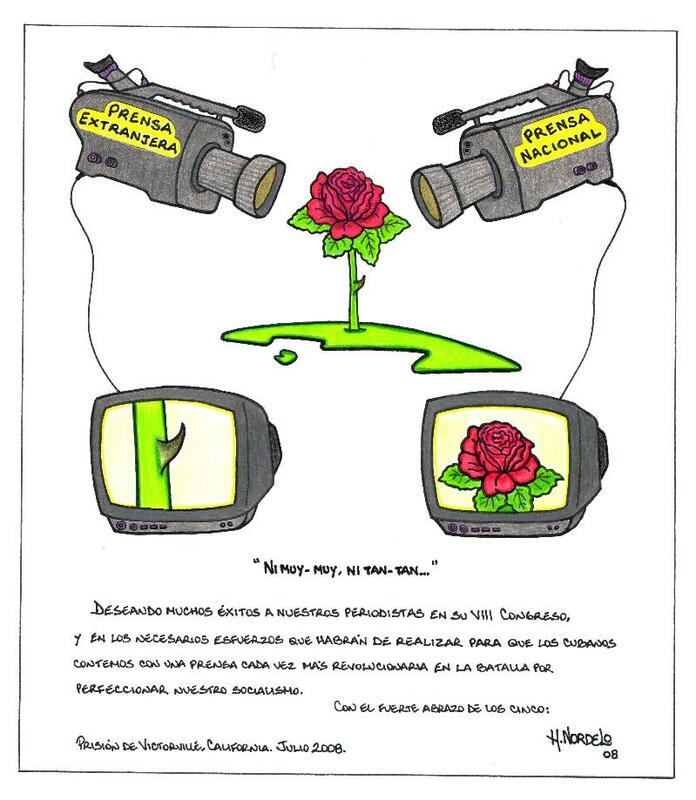 The selected cartoon originally was drawn in 2011 and sent by Gerardo along with a message to the opening of the VIII Congress of the Union of Journalists of Cuba (UPEC), an organization to which he is an honorary member. Gerardo began his career as a self-taught cartoonist, publishing his first work in the humorous weekly "Palante" in 1982, when he was only 17 years old. When he learned about the news that this cartoon was being used in a school book, the Cuban anti-terrorist expressed his surprise and satisfaction, and said: "I am pleased because besides being in the book the cartoon will resurface at a time when the Cuban journalists will be back in Congress, and I think that the message is still relevant and retains its validity." The editor of the book, Noé Pérez, found the cartoon while searching online for the material that he would need, "The cartoon described eloquently one of the aspects of the chapter of the book where it was included" Perez said. "It deals with the relationships between information and power and the problems associated, like bias or impartiality in the coverage of the facts, or in the transmission of information, as well as different points of view." The editor adds that "the binary of the image, with the representation of two visions in the form of two screens focused on different aspects of the same reality, outlines the problems and perspectives of the different sources of information. On the other hand, the elegance of the image of the rose and the thorn acts as a metaphor of the good and difficult aspects that coexist in the same reality; that caught our attention. The motto that accompanies the image involves two adverbs "muy" and "tan" that interested us as a point of grammar to work with." With regard to why he thinks that the cartoon will be useful to students, Mr. Pérez argues that "the image brings the students culturally into a Latin American reality, specifically Cuban, and at the same time transcends it. The objectivity in the media is a valid question in any of today's society who share this principle. It is aesthetic and reasonably easy to interpret for the level of maturity of the students." When selecting the cartoon Noé Pérez was unaware that its author was one of the Cuban Five, and that Gerardo was serving two life sentences in a prison in the United States for defending his country from terrorism. 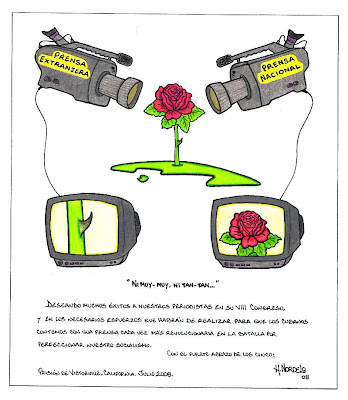 It was only when he was trying to find out to whom he should request authorization to use it that the editor was able to learn about the difficult conditions in which the cartoon had been created, and the reasons why Gerardo and his 4 comrades are considered political prisoners. According to Mr. Pérez the situation of the cartoon's author "did not influence in any way the selection of the cartoon; that fact is not mentioned anywhere in the text because it exceeded the limits of the subject and the teaching objectives of the publication." 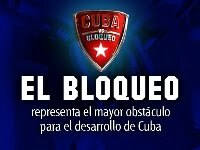 This way the original intention of Gerardo, that included a critique of the treatment that Cuba receives from the corporate media, and at the same time a critical exhortation to Cuban journalists at their Congress, transcended towards a more universal concept about the issue of the objectivity of the media, and his work will be subject of the analysis and reflection by French students. In the textbook in France the cartoon appears with only the phrase "NI MUY-MUY, NI TAN-TAN" and includes the signature of Gerardo and the prison's name. The rest of the message was removed by the authorization of Gerardo.